Whether you're worried about hydrogenated oils or non-vegan ingredients, store-bought margarine can be problematic. Instead, make a homemade margarine from solid fat, vegetable oil and a few other ingredients. Coconut oil is an ideal fat, because it regains solidity after it cools. Egg yolks and cow's milk may form part of your margarine, but a completely vegan margarine can be made by using mustard and lemon juice as the emulsifying agent, and water or coconut milk as the additional liquid. Make the margarine special by adding chopped herbs and spices for flavor and color. Set up your double boiler so that about 3 inches of water is in the lower pan. Alternatively, fill a saucepan with about 3 inches of water. Set the burner to medium-low. 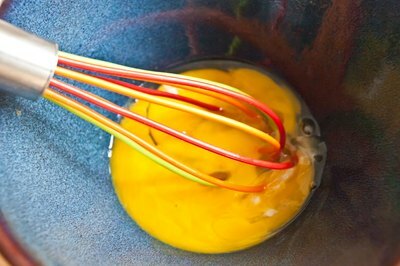 Squeeze the juice from one lemon if you are using a mustard-lemon emulsifier, and whisk it with a couple of spoonfuls of mustard. Otherwise, separate egg whites and yolks, reserving the whites for another use. Beat the egg yolks. For a typical batch of margarine using about 1 cup of coconut oil, you'll need 2 egg yolks. 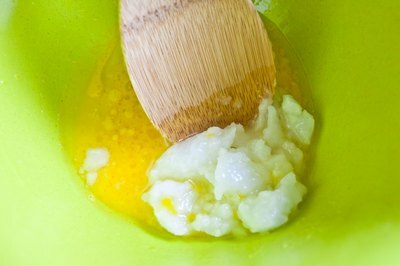 Add 4 parts solid coconut oil, 3 parts liquid oil, 2 parts additional liquid and a dollop of mustard-lemon juice or beaten egg yolks to the top part of your double-boiler. This is also the time to toss in a few spoonfuls of flavoring and/or coloring ingredients. Alternatively, put these margarine ingredients in a heat-proof bowl that has a rim wider than the saucepan's, so that it will not touch the bottom of the saucepan. Set up a large mixing bowl partially filled with ice cubes and cold water as the margarine ingredients are heating on the stove. 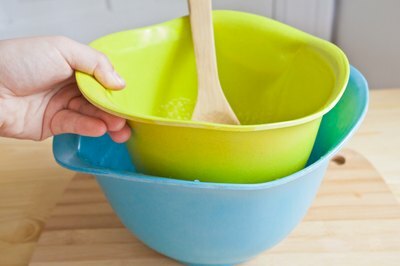 The bowl needs to big enough to accommodate the saucepan or the top of the double boiler. Stir the ingredients until the coconut oil melts and all the ingredients are well-combined. Insert a cooking thermometer to determine when the mixture comes to 120 degrees Fahrenheit. 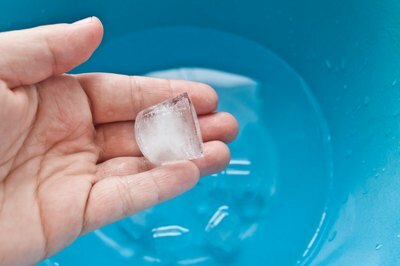 Remove the saucepan or top of the double boiler from the heat and place it into the bowl of ice water. Stir the cooling ingredients as they solidify. 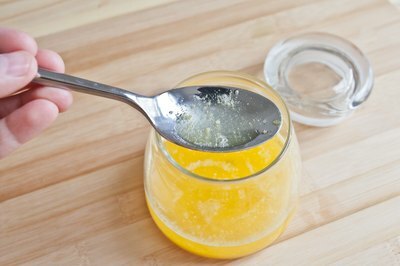 Spoon the margarine into a container once it begins to solidify. Put the lid on the container, and store the spread in the refrigerator for up to two weeks. 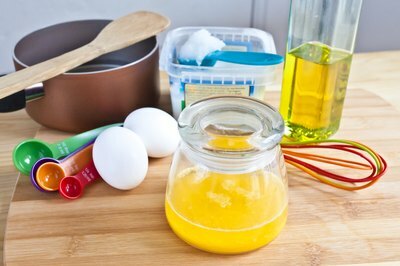 News 24: Make Homemade Margarine!